This is a dangerously, addicting combination! 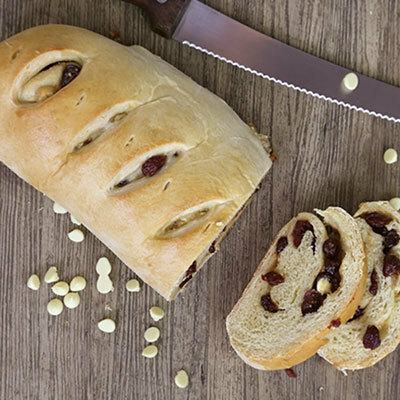 A vanilla kissed dough full of white chocolate chips and swirled together with our own homemade sour cherries jam to create a heavenly delight. Take home a loaf of our White Chocolate Sour Cherry bread and we'll send you home with a FREE loaf of Dakota or Honey Whole Wheat!